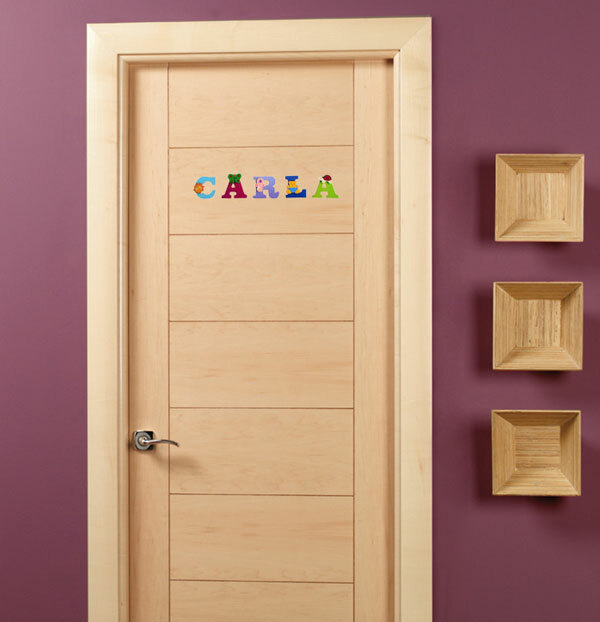 You can do the name of your child with these decorative wooden letters. 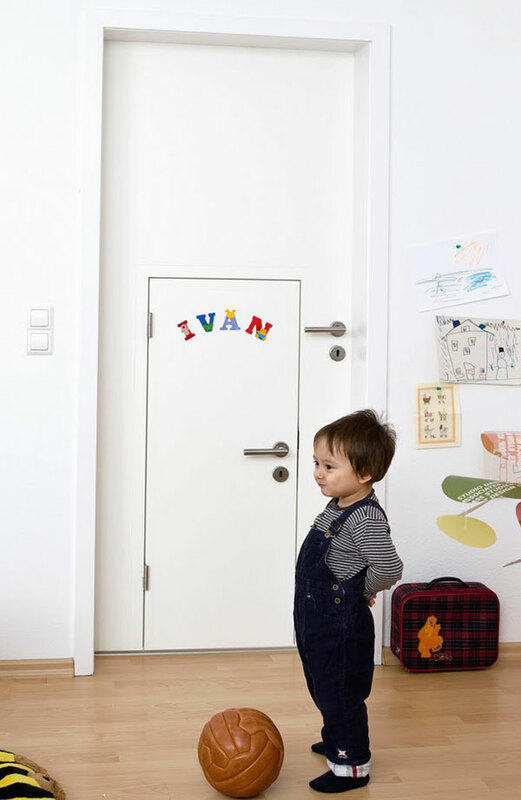 They carry an adhesive strip which allows glue and can be easily removed without damaging the surface. 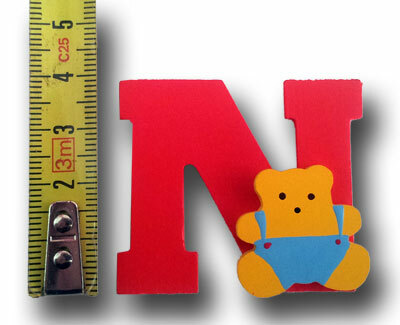 Ideal to put the name of your children, in the door of his room, on the wall, in his crib, furniture, etc. There is a great diversity of colors and decorated with different motifs alternating with different colors. 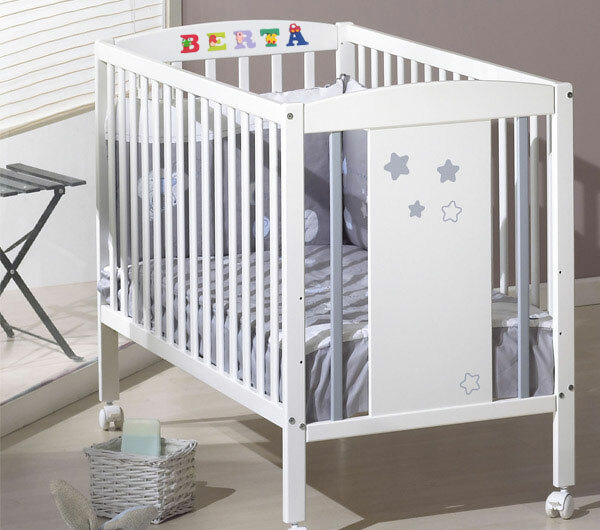 In our shop in Manresa Nins have a display with a variety of models you can choose where you prefer to make your child’s name. It is also an ideal gift choice. If you prefer, you can order the conveniently through our online store. Only you need to select each letter in the drop-down and check “add to cart” for each of them to make their name. We will deliver them to your home, or you prefer to make a gift, will deliver the address you specify within 24 hours if you wish. 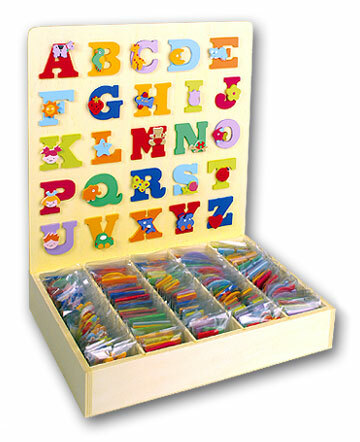 The deliveries are always made in different colors and patterns, in any case repeat letters unless they request it. 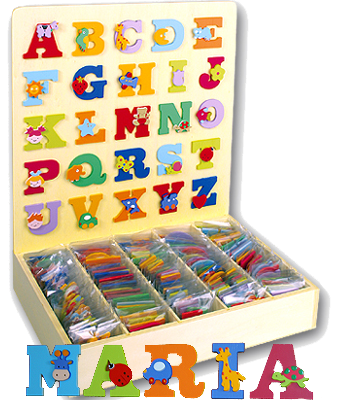 The wood adhesive letters have a height of 40 mm and presented in individual bags.